To ensure you get a perfect fit on your new bike or your old bike, we offer a personal bike fit service where we discuss your cycling needs and goals. We then record your body measurements and flexibility, then analyse this information. 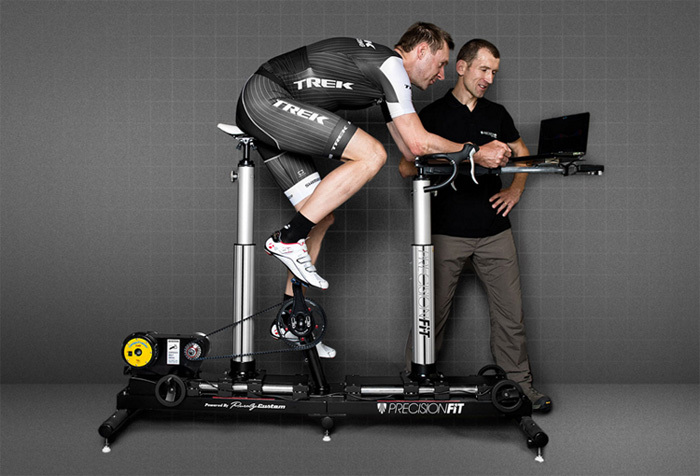 With all the fancy technology available today, there are a multitude of bike fit options available. But at the end of the day, it comes down to the professional that performs your bike fit. With over 35 years of combined experience here at Turramurra Cyclery, we take pride in the art of bicycle fitting. We have the facility available with our Trek Precision Fit, fully-adjustable fitting jig, we set up your ideal position, then build your new bike or reset your old bike to get maximum comfort and efficiency. Service also available for mountain and hybrid bikes. Please allow approximately 2.5 - 3 hours. Please use the form below to book your bike fit and we will show you how we can help you on the path to achieving positive results for your life both on and off the bike. Alternatively, direct email inquiries to mail@turramurracyclery.com.au or contact us on (02) 9144 2128.